Located on the east coast of the North Island is the beautiful Hawkes Bay. Hawkes Bay incorporates the twin cities Napier and Hastings, Havelock North, Wairoa, Kaweka Forest Park and Waipukurau. Both Napier and Hastings are renowned for their architecture. After the devastating earthquake of 1931, both cities were virtually destroyed and were rebuilt in the fashionable style of the time - Art Deco. Infact Napier is one of the Art Deco capitals of the world. In Napier Norfolk Pines line Marine Parade which runs parallel to the Pacific Ocean shoreline. A pleasant stroll along the parade will bring you to several of the city's best attractions. Check out the National Aquarium. The Hawkes Bay Museum and Art Gallery can both be accessed from Marine Parade too. For the families or the "young at heart", make sure you check out Hawkes Bay's Splash Planet. This fun water-based theme park, situated on 6.5 hectares, features giant water slides, pools, bumper boats, mini golf and much much more. Cape Kidnappers is one of the largest, most accessible, mainland Gannet colonies in the world. Visited by thousands of people each year, particularly between early November and late February, the Cape itself is a geological marvel. 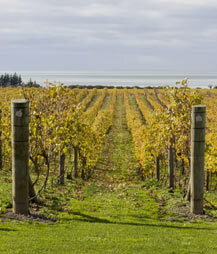 Hawkes Bay is New Zealand's oldest winemaking region and is the country's leading producer of award-winning red wines. With 28 prestigious vineyards in the Hawkes Bay open for tourists wine-tasting, a "Wine Trail" is a must for all visitors to the region. Local wine tour operators will ensure you visit all the best vineyards, and travel safely whether you choose coach, limousine, bicycle or horse and cart. On the weekend you can enjoy the Hawkes Bay Farmers Markets. The relaxed traditional village market can be enjoyed every Saturday in Napier on Tennyson Street, and every Sunday at the Showgrounds in Hastings. The Kaweka Forest Park and Puketitiri Reserve offer numerous recreation activities such as: walks, tramps and camping, fishing (rainbow and brown trout), hot springs, rafting, deer and pig hunting. Please choose from the links shown below to help guide you through our information on the sunny Hawkes Bay region.